Welcome to the best window washer in Glendale. Arizona Window Washers is able to provide its customers with the most amazing and professional window washing and window cleaning services. More than that, we also have a team of experts that specializes in pressure washing and that can completely change the look of your house or your commercial building. You should know that we are only one phone call away. If you want the best for your house or your commercial building, do not hesitate to call us. 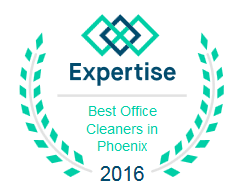 Arizona Window Washers is far the most experienced window washer in Glendale. We have been working in this business for years and we take great pride in our work and in our results. More than that, we also pride ourselves in being the top pick for customers both in the commercial and in the residential sector. The main reason why our company is so popular is the fact that we always take great care of our customers and we always meet their needs and even exceed their expectations. In our years of working in this field we have exclusively had satisfied customers and clients who were absolutely thrilled with our work. As a potential customer you should know that we take our work seriously and we hold it to the highest standards. There is no job that we are unable to do or we think is to complicated or too difficult. The main reason for that is the fact that we have an incredibly dedicated team of experts who is always looking for ways to improve their work. We are incredibly proud to work alongside the most professional and well trained window cleaning and window washing technicians. Our window cleaners and window washers are unbelievably professional and there is no job that they can not do. No matter how hard the work may be, our window cleaning and window washing experts are always able to come up with an effective solution for it. Apart from being the best window washer in Glendale, our service also has an amazing team that handles pressure washing. Apart from leaving the windows to your building spotless, our company can also pressure wash the exterior walls of your building, the driveway, the garage and even the roof. This service will definitely improve the aspect of your building and it may even help you discover some cracks or other structural issues that need checking. More than that, our company only uses the best window washing tools and window cleaning solutions currently available on the market. You can definitely count on us to perfectly clean the windows to your building. Take advantage of the best window washer in Glendale and get a free quote with our fast window cleaning quote tool with quick response time!